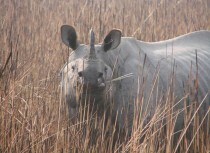 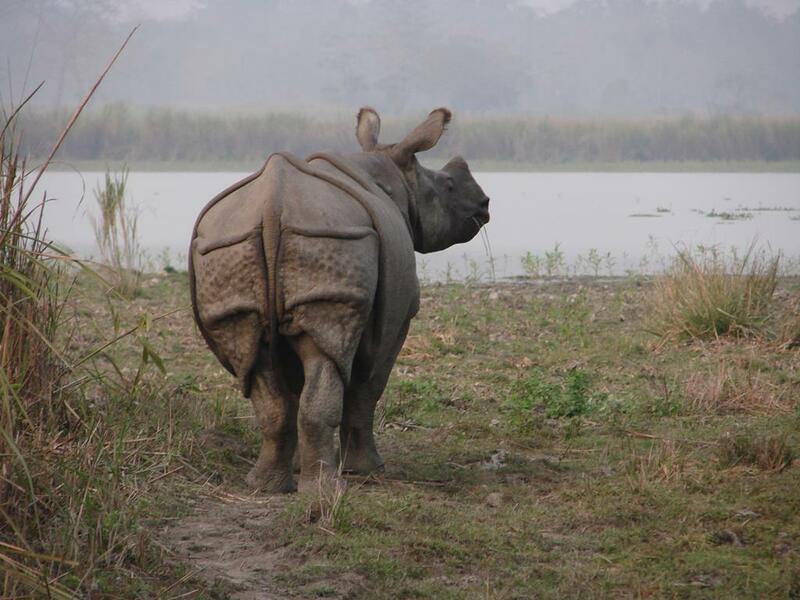 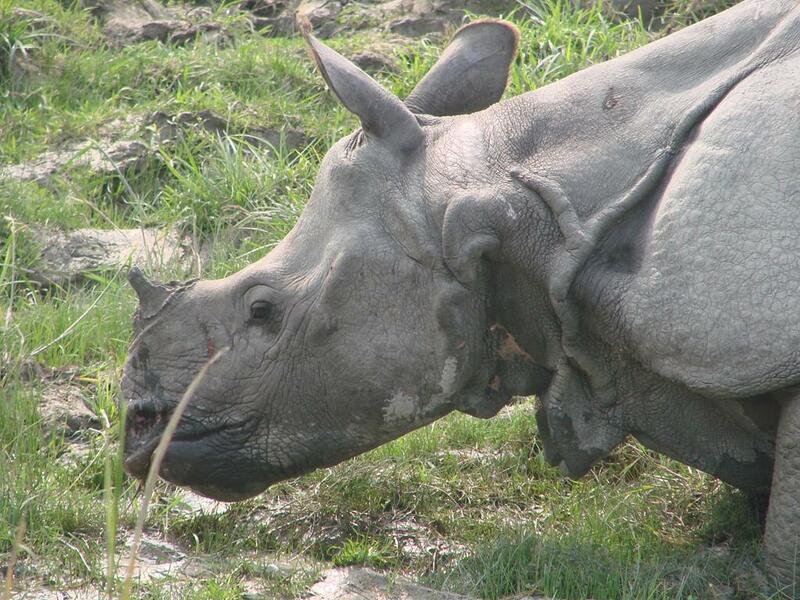 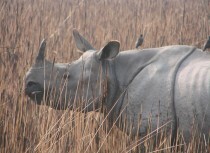 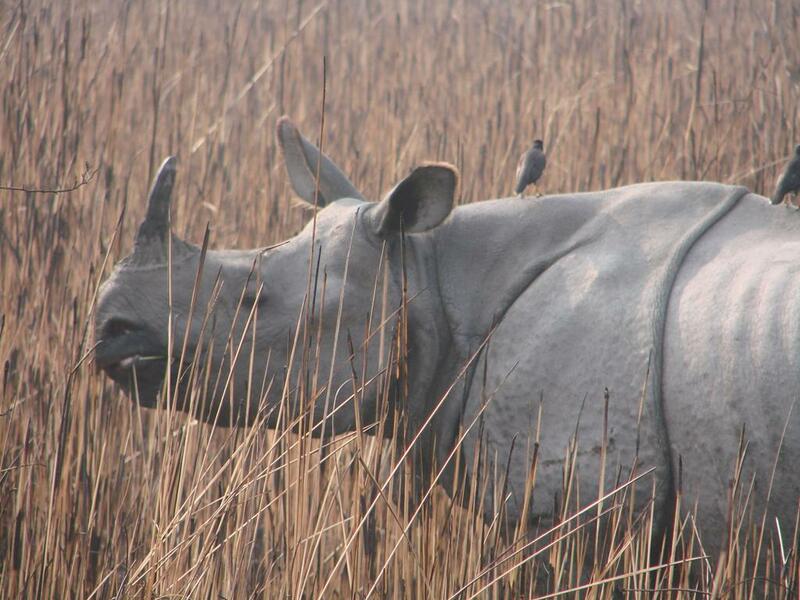 Kaziranga National Park is synonymous with the Indian one horned rhino. 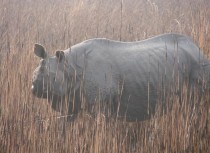 Estimates when we visited in 2009 were that there were in excess of 2,000 rhino in the park. 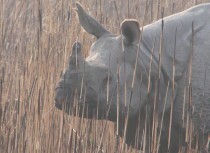 On two occasions from vantage points we counted 16 and 18 rhino within view at anyone time. 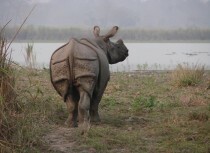 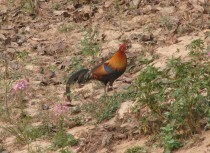 On our first day we counted 50 different sightings of the Indian one horned rhino. 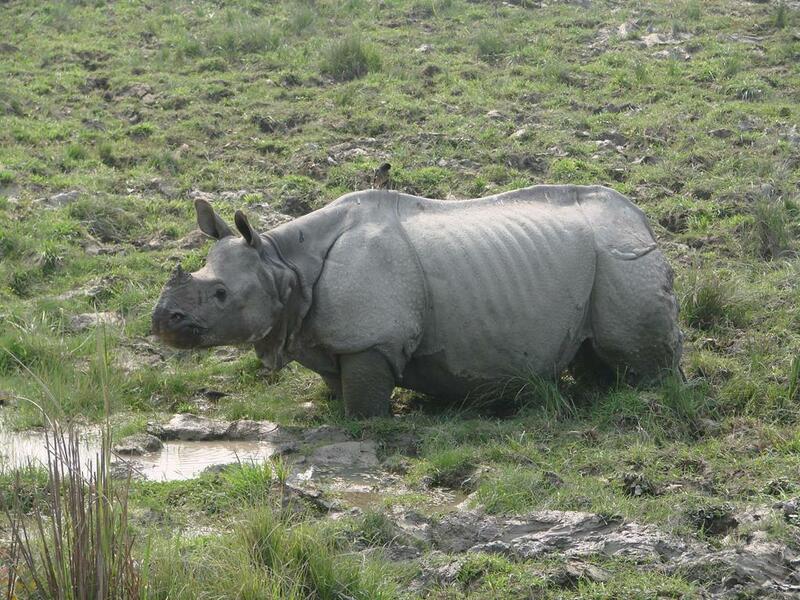 Kaziranga National Park has more wildlife than the one horned rhino which includes tiger, elephant, wild buffalo, wild boar, Indian Bison, deer and whole range of bird life (in excess of 400 different species have been identified within the park). 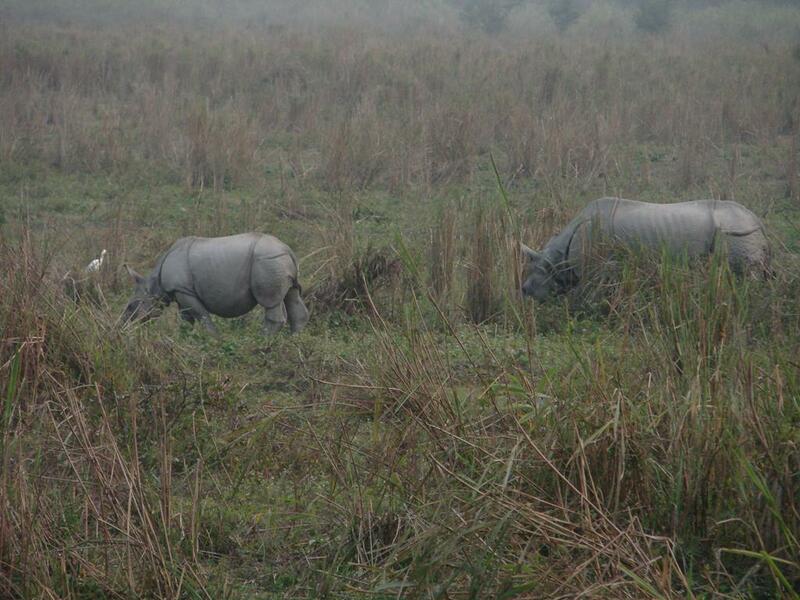 Kaziranga National Park is primarily flat country with tall elephant grass, shallow swamps with large patches of evergreen forests. 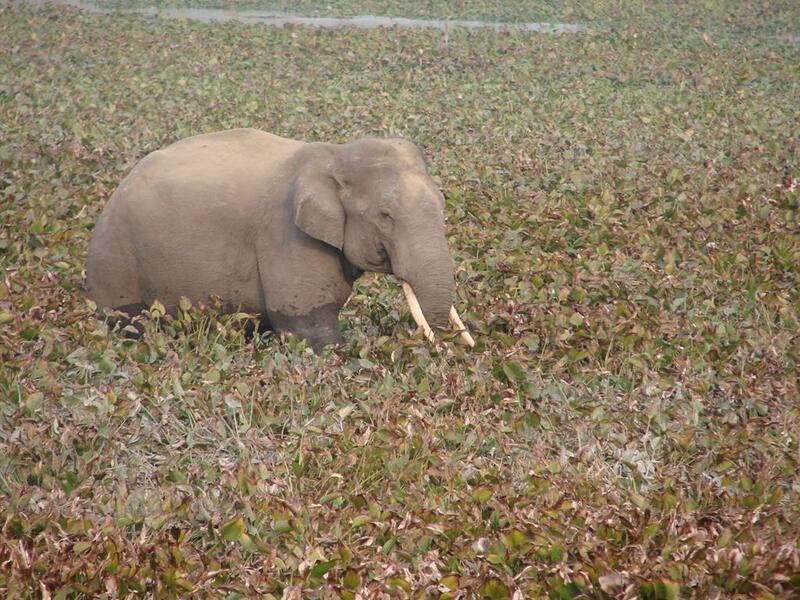 It is located on the banks of the mighty Brahamaputra, flooding each year during the monsoons in June, July and August. 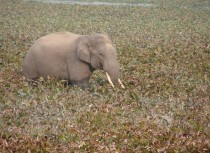 The wildlife are forced to shelter in the higher ground until the waters subside. 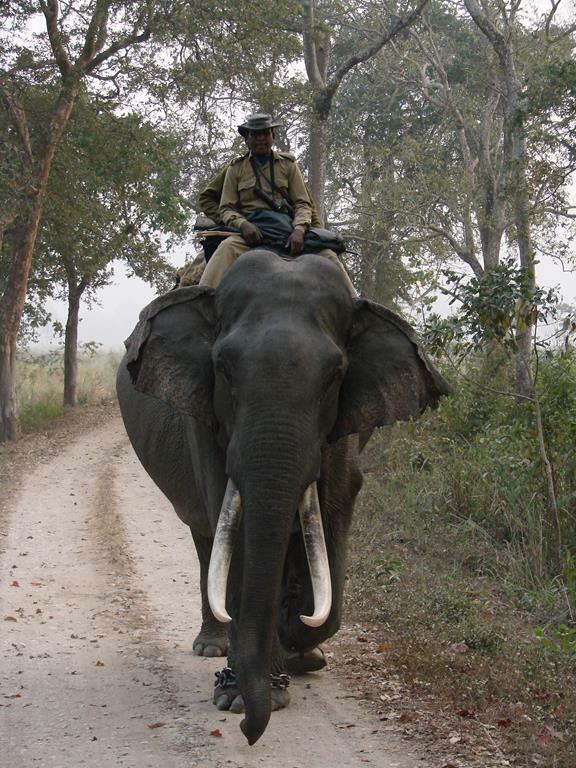 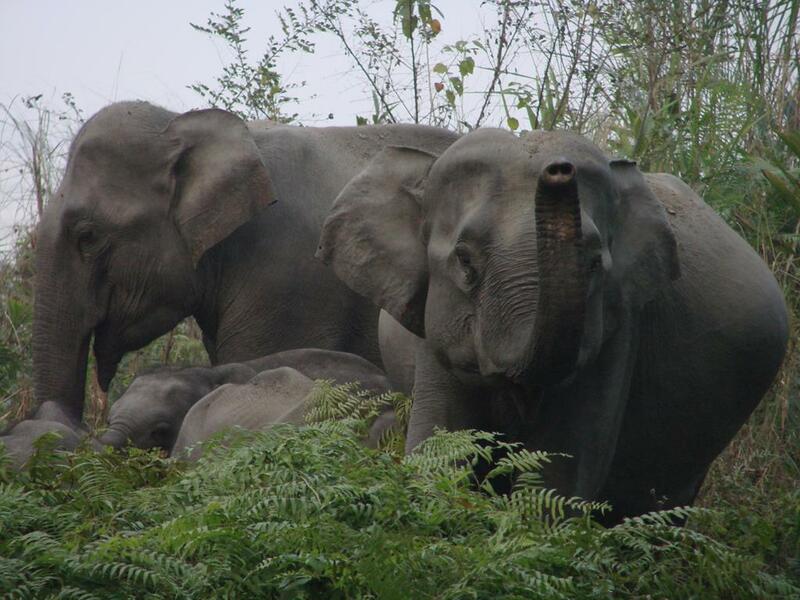 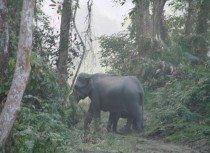 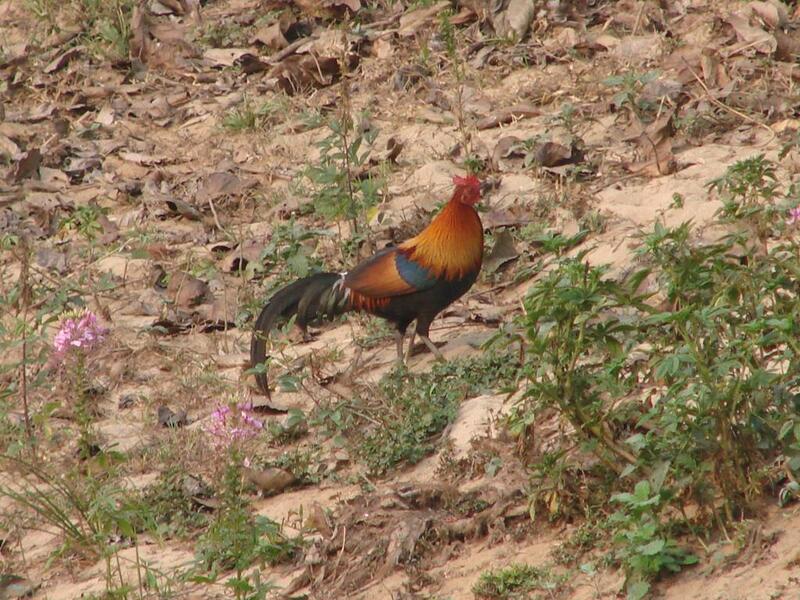 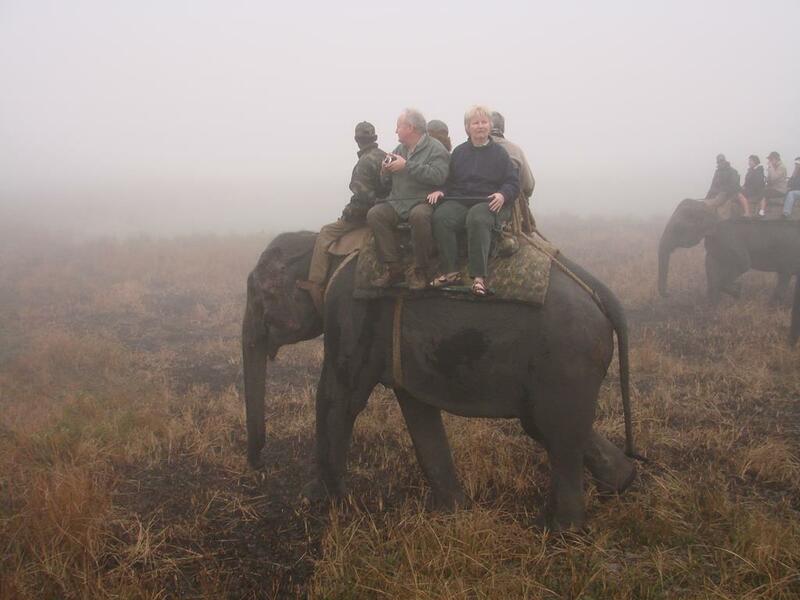 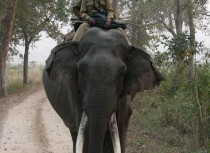 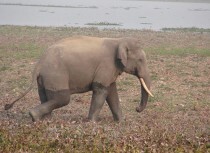 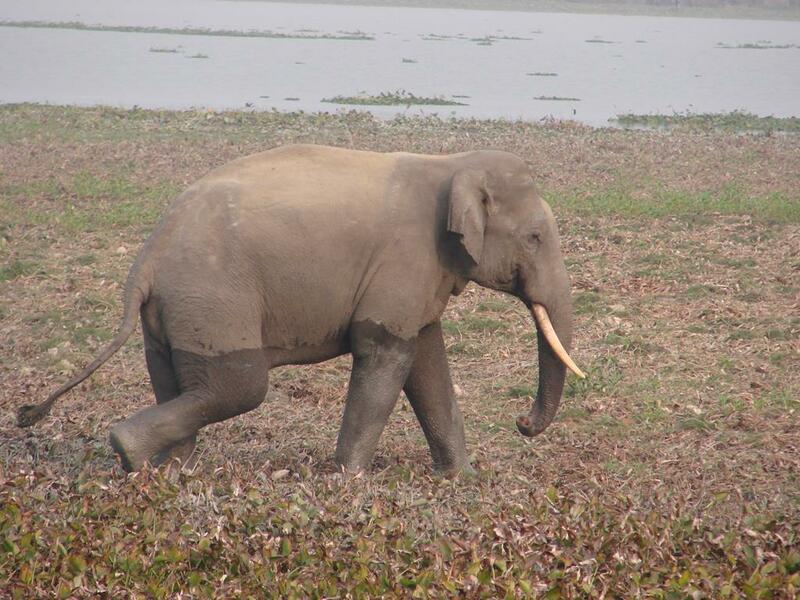 The tourist season to the Kaziranga National Park is a relatively short season, January to May each year. 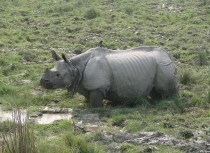 It must be one of the best parks to visit especially to see Indian one horned rhino. 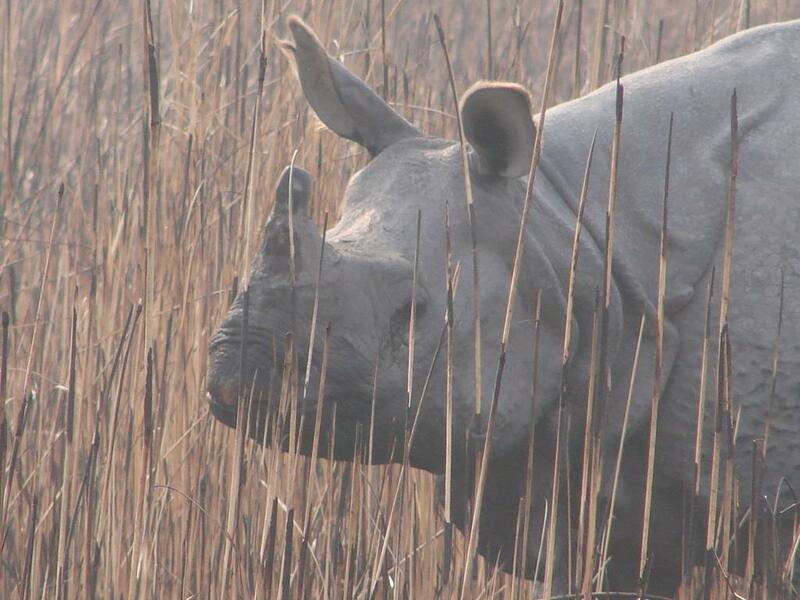 In one day we saw approximately 50 rhino, in different locations in the park, some close by some long way away, others in the long elephant grass and some in the evergreen forests. 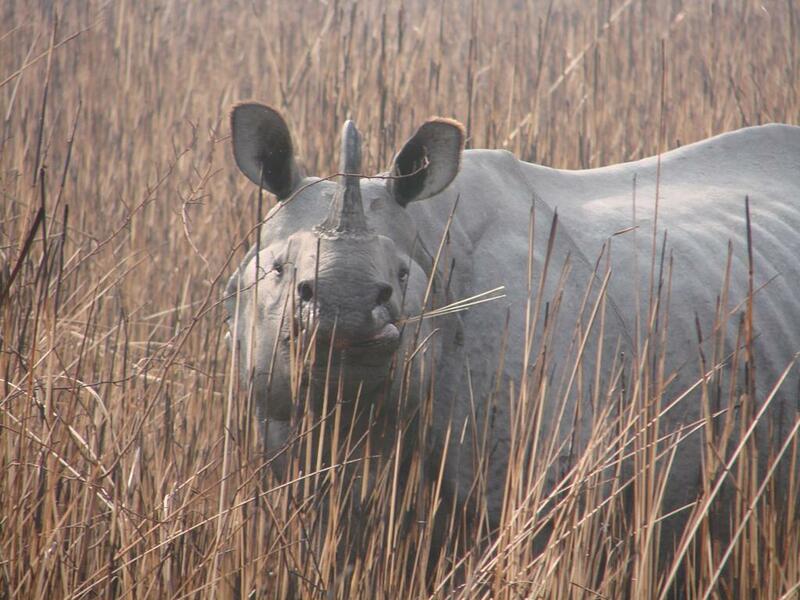 430 square kilometers in size, the Kaziranga National Park has built up its one horned rhino population from a dozen animals in 1926 to the highest concentration in numbers anywhere in the world. 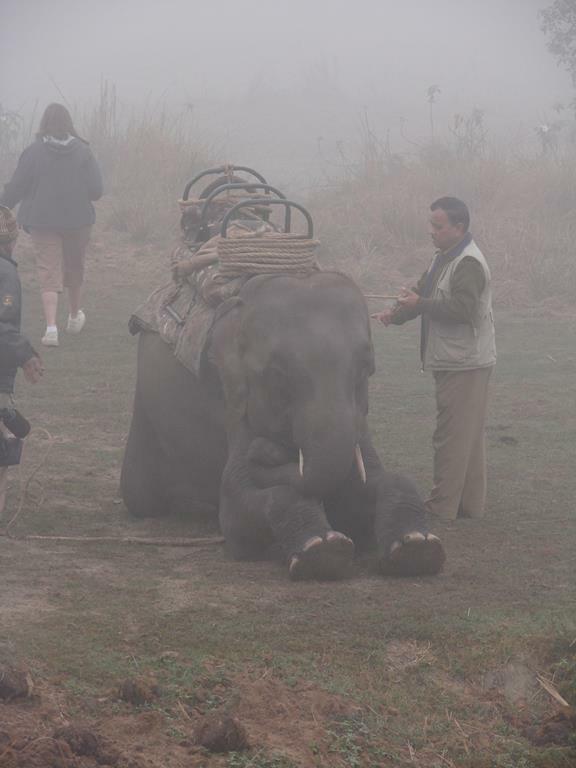 Great credit must go the dedicated park staff who work so hard to counter the poacher threat. 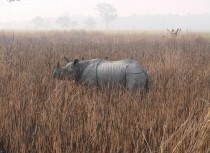 Kaziranga National Park in Assam is highly recommended as a park for great wildlife, especially the one horned Indian Rhino.